According to an NBC News report, C.R. Bard, a manufacturer of IVC Filters, knew of problems with its products, but continued selling them anyway. 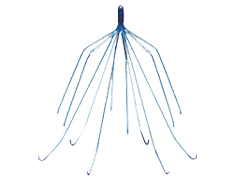 IVC Filters work to catch blood clots and prevent pulmonary embolism. Unfortunately, many of these filters are faulty and can cause serious injury and death. This happens when pieces of the filter break off and embolize causing damage to the heart and brain. In 2002, C.R. Bard released its Bard Recovery Filter. The filter was supposed to save lives, but reports of injury and death caused by the filter quickly began to mount. Bard commissioned a confidential study which found that its filters caused problems at a higher rate than competing products. Despite this, Bard did not issue a recall. Instead, in 2005 it released its G2 series of filters. According to internal memos, Bard was aware by December of 2005 that the G2 series of filters had many of the same problems as the Recovery Filter. Still, Bard executives decided to leave the G2 filters on the market until 2010 by which time they were responsible for more than a dozen deaths and hundreds of injuries. Nearly 100 lawsuits have already been filed against Bard over its defective IVC filters. These suits seek to hold the company accountable for the harm that it has done to patients both through the defective design of its products and through its willful decision to put profits before safety.